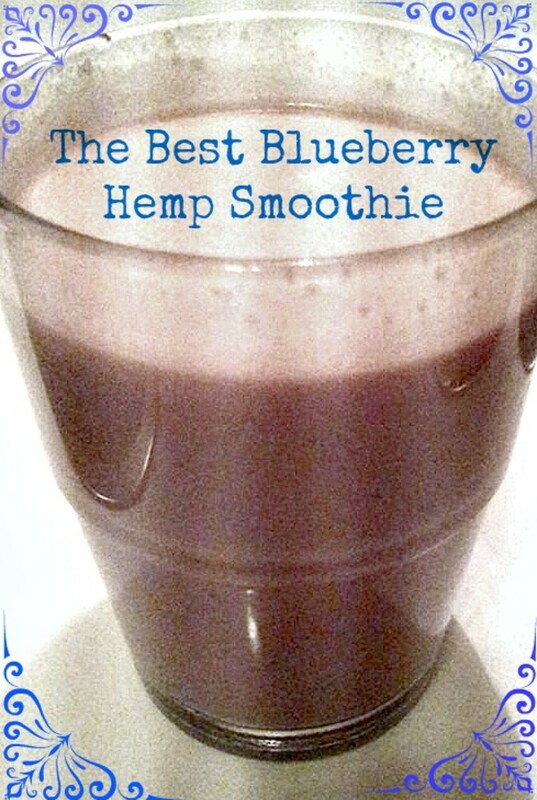 A delicious, healthy smoothie is a great option for breakfast, lunch, or dessert. Healthy smoothie recipes are easy to throw together when you're in a hurry and they can make an easy, full meal. A small smoothie also can be a healthier option for dessert. Choosing the right smoothie recipe can help you lose weight, add fruits and vegetables to your diet, and have a more balanced lifestyle. Healthy smoothies are a great tool for weight loss, as well as a more balanced lifestyle. 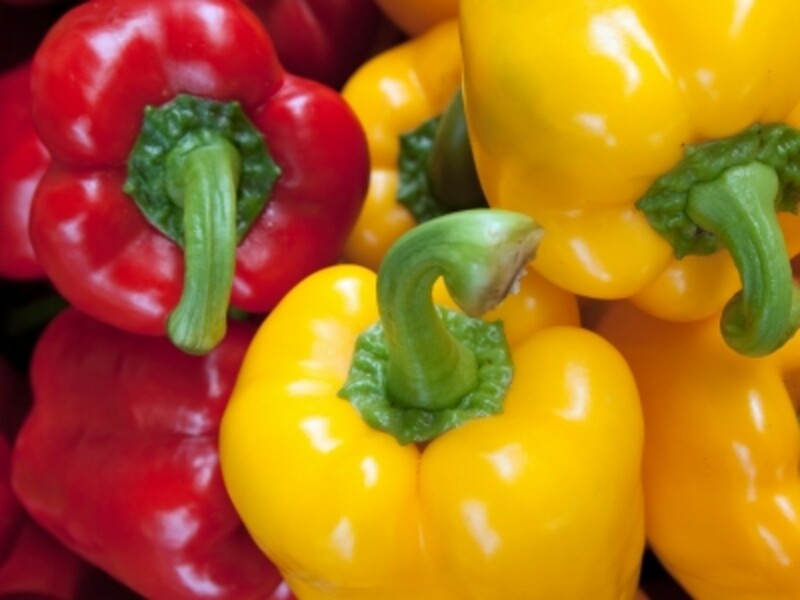 They are a great way to add fruits and vegetables to your diet and lower the calorie counts of your meals. Replacing one meal a day with a healthy smoothie can help you lose weight and get vital nutrients. Picking the right smoothie recipe is vital to the success of your weight loss. Some smoothies are very low calorie, while other smoothies are full of sugar and calories. If you are trying to watch your calories, be mindful of ingredients and the quantities of them in your smoothies. Smoothies are a great healthy breakfast option. They are quick, refreshing, and delicious. Plus you can put one in a travel cup and enjoy it on your commute if you're short on time. They're also a good way to indulge if you're pining for dessert. Smoothies can be a great dessert option that won't wreck your diet. It’s important to think of smoothies as food and not a drink. Remember all the wholesome ingredients that have gone into your smoothie. These are worthy of a meal! If you slip into the mindset that smoothies are a drink or a snack, you are more likely to consume them along with other things, which minimizes the health benefits of a smoothie-based diet. 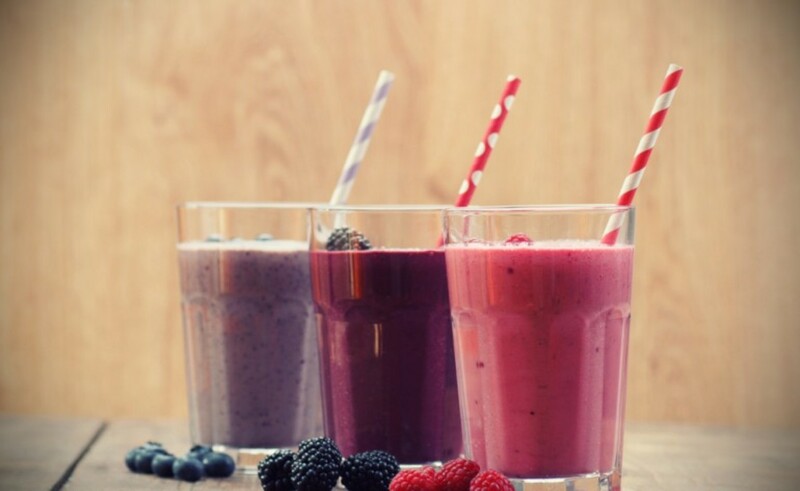 Smoothies can end up full of calories. Many common smoothie ingredients are packed full of sugar, which will increase your calorie count drastically. Watch out for juices, honey, chocolate, and sweet fruits. If used in moderation, these ingredients will make your smoothie a bit tastier, but be careful not to add too much. Be especially careful of smoothies you purchase. Jamba Juice makes delicious smoothies but many of them have a lot of sugar. Order carefully, or better yet, make your own. Another way your healthy smoothie's calorie count can spiral out of control is a large serving size. In the days of 32 oz. and 64 oz. sodas, our perception of what's an appropriate size for our smoothie can end up skewed. Also, a little bit of this ingredient and a little bit of that ingredient can add up to quite a lot of smoothie. 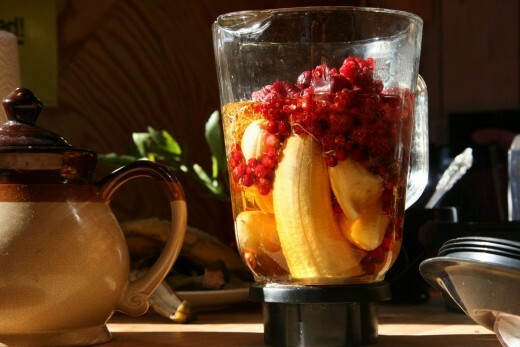 Shoot for 8 to 12 ounces and try not to add any more than that to the blender. Magic Bullets are a great alternative to a traditional blender since they are already the size of a glass--you can't add too much on accident! There are four basic elements to a delicious and healthy smoothie. Not every smoothie will have all these things, but it’s a good starting point. Fruits and Veggies--This is the heart of a delicious smoothie. Mix and match to get the perfect recipe. Protein--Adding some protein to your smoothie will help it stay with you longer and make you feel fuller. It also will help prevent blood sugar peaks. Ice/Frozen Fruit--This thickens up your smoothie and gives you that "smoothie" texture. Use frozen fruit for a fuller flavor or opt for ice if you're counting calories. 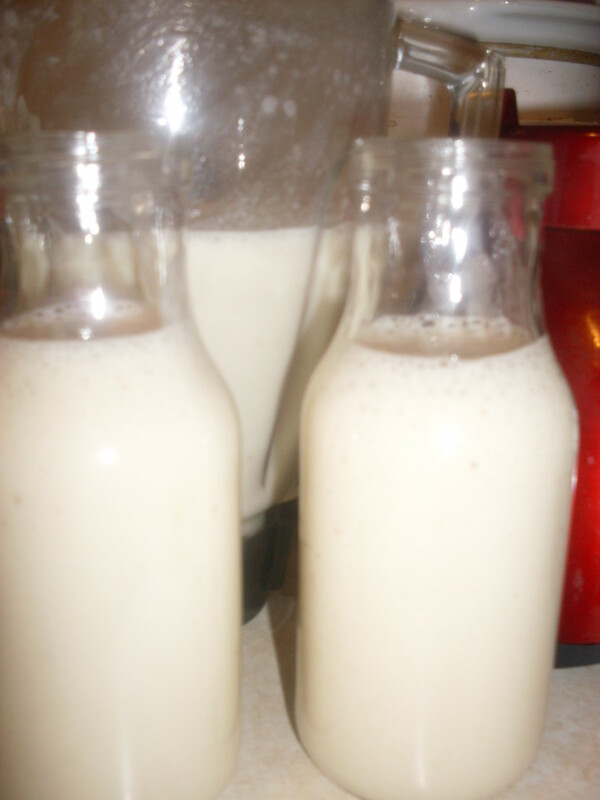 Liquid--Liquids like milk or juice will make your smoothie a bit more drinkable. Otherwise you might need a spoon! Not quite all of them have bananas, but yes, I do think they're delicious. I also think they add some nice thickness to a smoothie. Anything with bananas goes for me. Is it that you love bananas as to include them in all the recipes? I'll give them a try one after the other. Nice share.